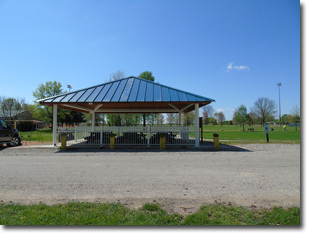 Pavilion #8 is located near the west side of the park near the soccer fields and a small playground. The size of the pavilion is 30'x30' it has 6 tables and electricity. The rental form and prices.